Deutsch: Die Flagge von Panama. 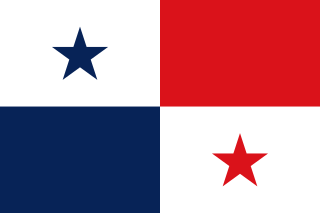 English: The flag of Panama. Esperanto: La flago de Panamo. Español: La bandera de Panamá. Italiano: La bandiera di Panama. Nederlands: De vlag van Panama. It is one of "texts of laws, decrees, official regulations, public treaties, judicial rulings and other official enactments"
huidige versie 11 feb 2019 16:47 900 × 600 (884 bytes) FDRMRZUSA Higher svg resolution from same file (latest version): resized by "Inkscape". Same proportion: 2:3. Optimized: reduced svg code. No other changes. 14 okt 2015 00:20 450 × 300 (763 bytes) CemDemirkartal According to "Unsupported SVG version specified" warning by W3C Markup Validator, Version attribute deleted.